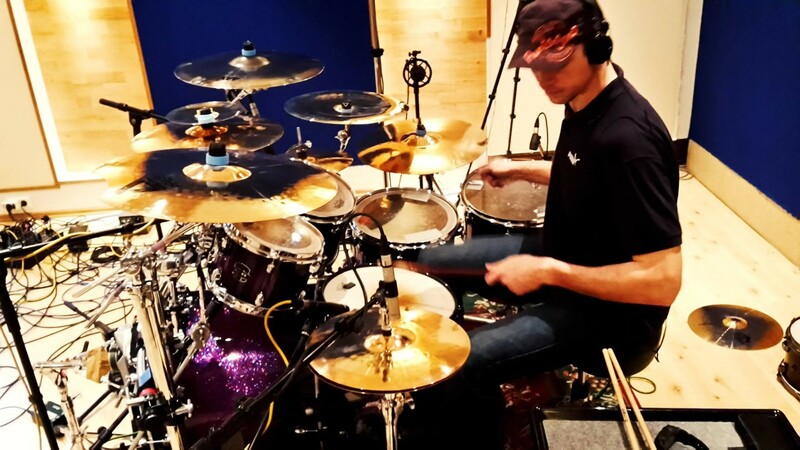 We're very excited to announce that STEVE KRIPPLER joined us as our new drummer!! He's been with us for a few weeks now and he's not only a great drummer but also a cool and funny guy who fits in nicely. We would like to wish all of you a Merry Christmas and Happy Holidays. Enjoy this time of the year when everything slows down a little, spend time with your loved ones, pause for a moment to reflect upon and appreciate the people around you and the things that you have. In this spirit we would like to thank you from the bottom of our hearts for your ongoing support. It means the world to us and we truly appreciate it. You guys rock! good news today! 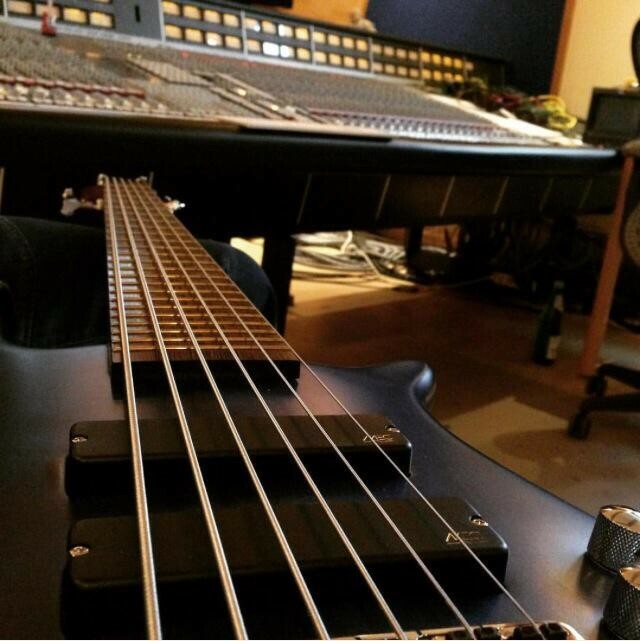 After some auditions, we finally found the perfect match to take over on the bassguitar. 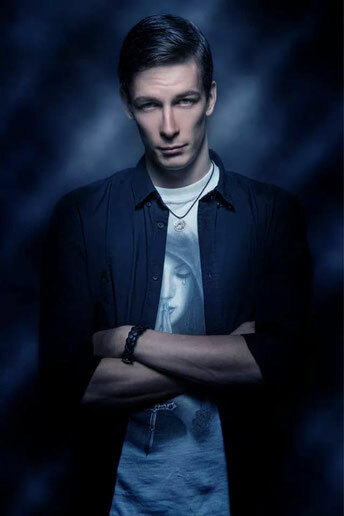 Let´s welcome Jean Nyssen, formerly known from the band Dark Lambency! Welcome buddy! Unfortunately we have a less funny message for you today. With a heavy heart, we have to announce that our buddies Christian and Kim decided to quit the band. We won't comment the reasons why and we would like you to know that we parted on good terms as friends. We wish them both all the best for their future. However, we would like to thank them for the f@çKing amazing time we had together! They're both amazing guys everybody wants to share time with, and so did we!!! Meanwhile, we are obviously searching for a new bass player. So feel free to contact us if you're interested in joining the party. 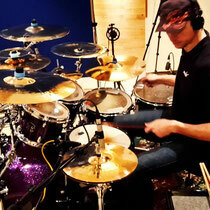 Furthermore we will present our new drummer very soon (some of you might have seen him in Best), so stay tuned! Hey hey folks! 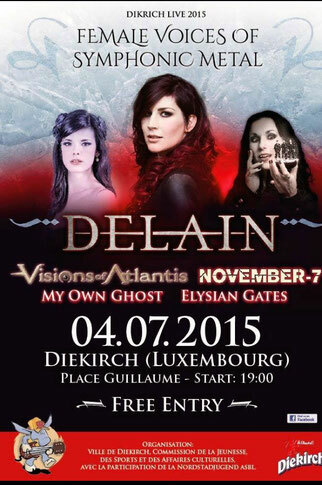 We're back home in Luxembourg but still pretty excited about yesterdays FemMe Battles Semi-Final. We had a blaaast!! As usual all of you were amazing and everything went smoothly. We met lots of amazing musicians and were happy to meet the FemMe crew again after such a long time, which made us somehow feel like coming home. 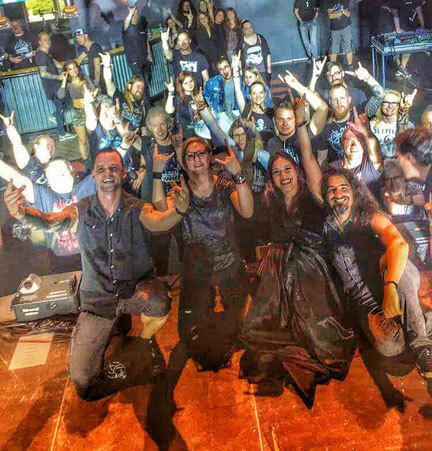 Also we'd like to congratulate the absolutely amazing band Setheist from Poland and Seraphiel from Finland for winning the battle.  As you might have heard, we got the wildcard and we will also be part of the Finals in June! So, see you on road again! Cheers! 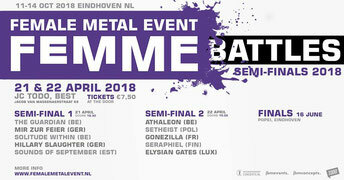 Once again we will join the FemMe Battles 2018 in Best (NL) for the semi finals on April 22th. We hope to see you guys there! 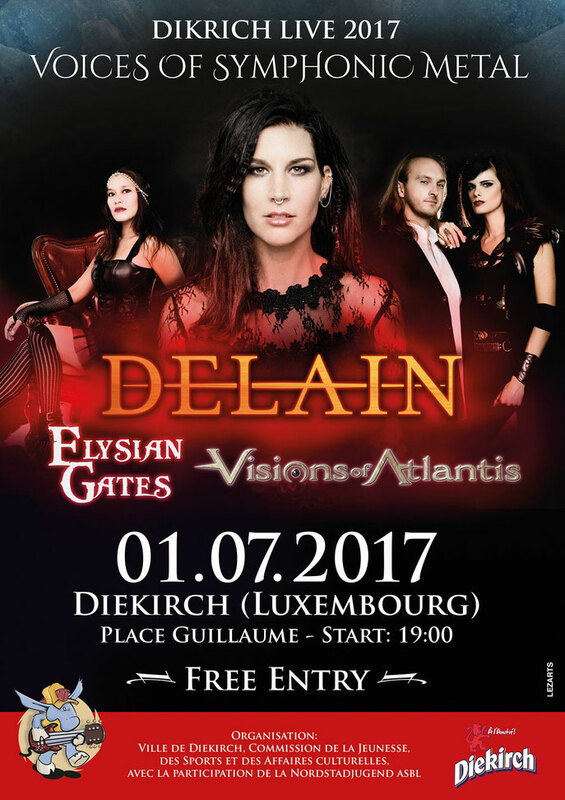 after the departure of Guy we have started to look for a new lead guitarist to start the next chapter with us and also the upcoming concerts. 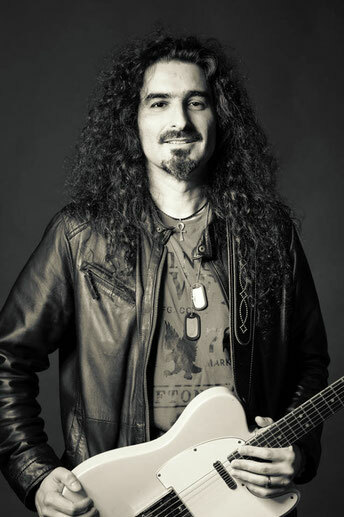 As of today we can announce that Mike Christmann, also known from the band Angel's Whisper, will be joining in on guitars from now on. 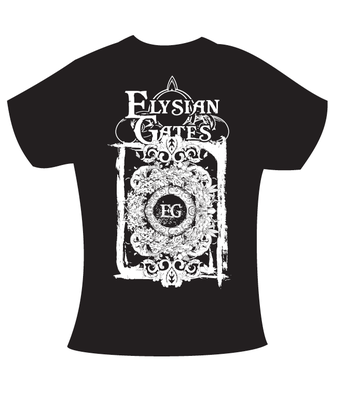 We are looking forward to the future with him as part of Elysian Gates. So let's welcome him with lots of thumbs ups! 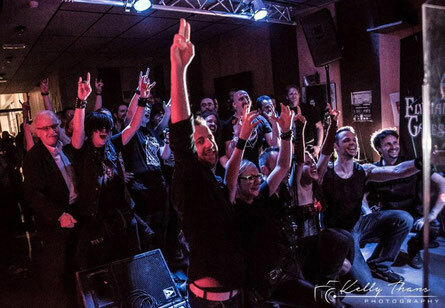 Our next gig will be April 22th in Best(NL) at the FemMe Battle Semi-Final 2. Hope to see you guys out there! Cheers! It's been a difficult winter so far for the Elysian Gates. As you may have heard, Guy has decided to leave the band. We'd like to thank him for 8 absolutely amazing years (considering from where we once started 😌) and wish him good luck with his new adventures. Meanwhile, the 5 of us continue the old adventure. 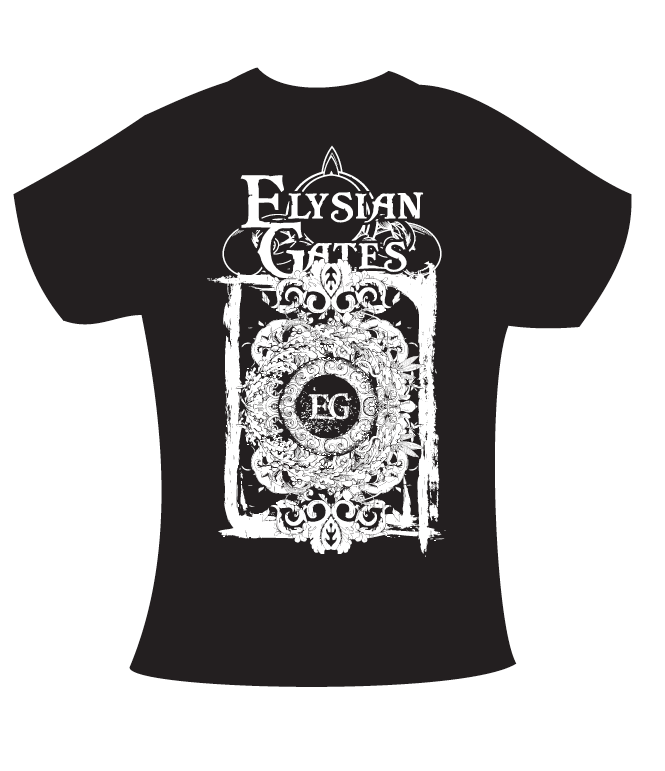 Several local guitar players have kindly offered their help, so, pretty soon we'll be able to post new dates and venues for Elysian Gates' Gigs in 2018. 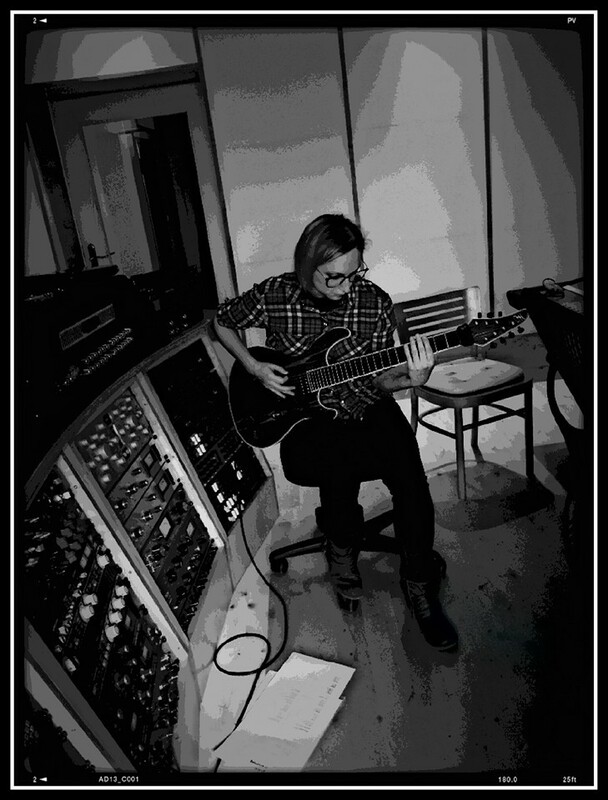 The first raw demos for the new album sound fxxxing amazing so far. Thx for your patience. See ya really soon. 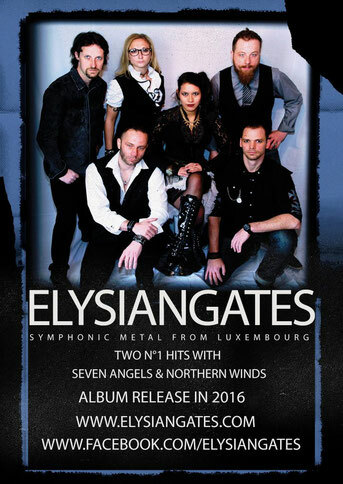 "Symphonic Metal with a progressive touch and fronted by a powerful female voice offering an impressive vocal range. The songs take you to worlds of fantasy and reflect on the bittersweet and dark sides of human reality." 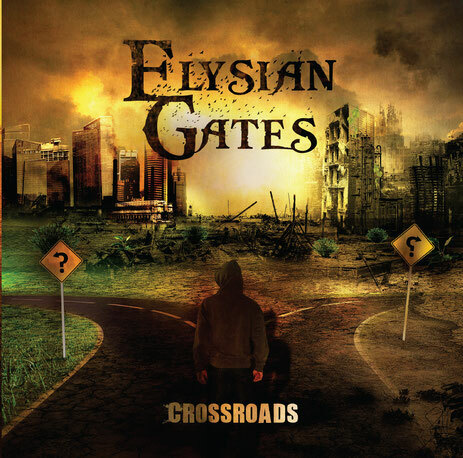 Second studio album Crossroads out now! 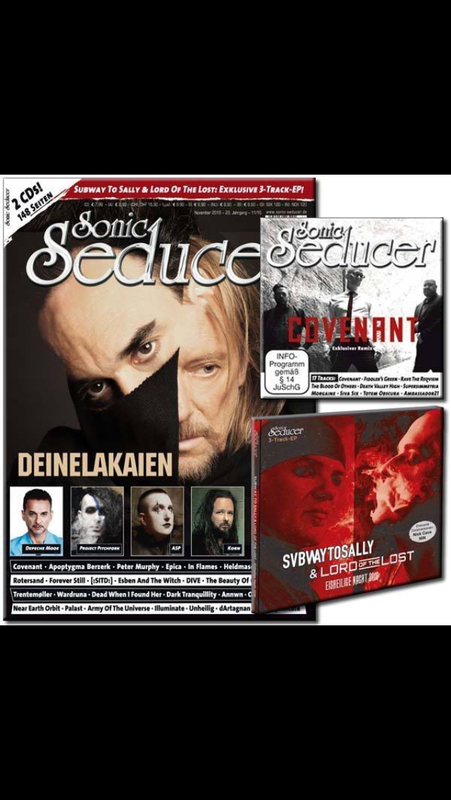 We are more than excited to thank the german magazine Sonic Seducer again for their great support. Read the interview with Thierry here! Credits to Mirja Dahlmann for her nice work and Sandro Ortolani for the pic. 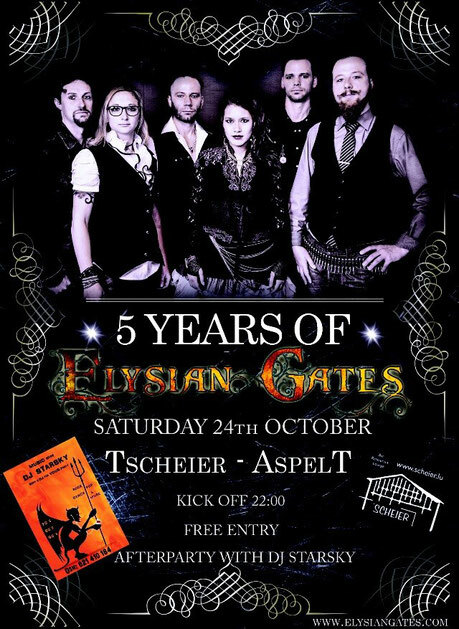 We're looking forward to party with you! 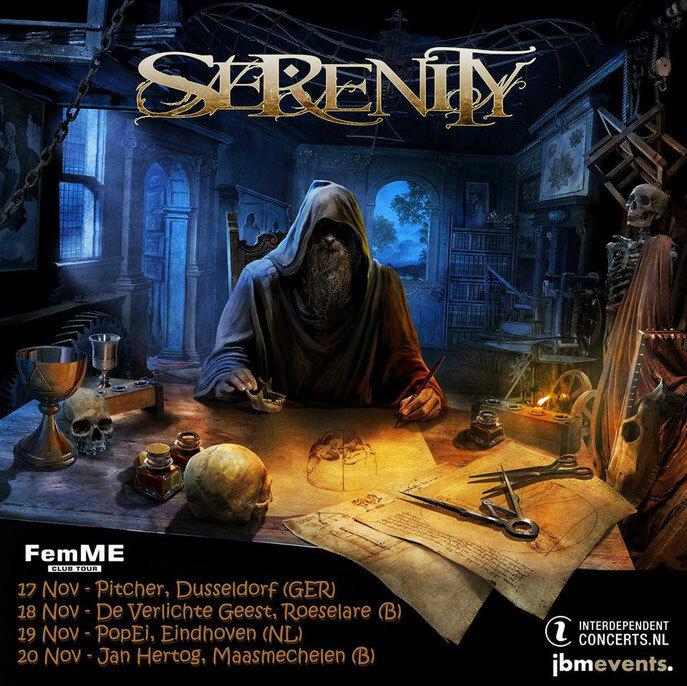 We are more than stoked to announce that we will support Serenity during the FemME CLUB TOUR on three of four dates. Meet us from November 17 to 19 in Düsseldorf, Roeselare and in Eindhoven. 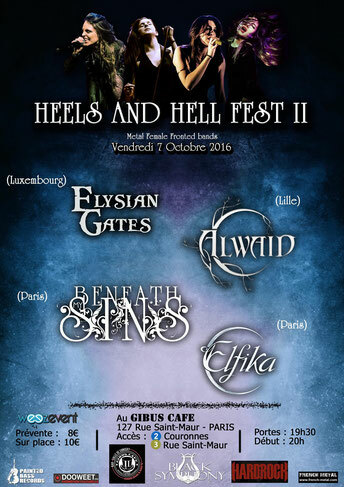 Other supports will be Diabolus In Musica and Beyond God. 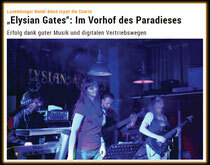 From the release of "Crossroads" until today, we gathered quite a few nice reviews and articles. Here is a little selection. You can read them here by clicking on the links. 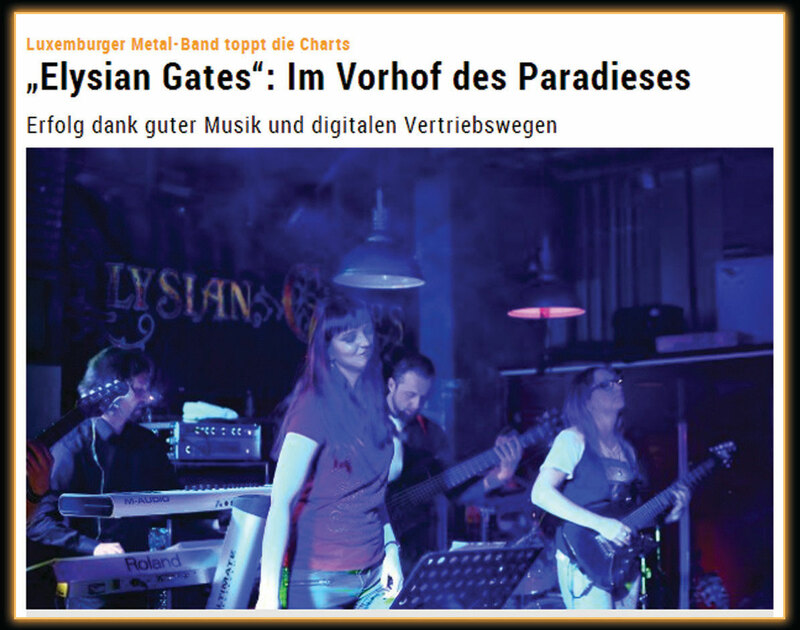 Find more reviews in the Press-area! 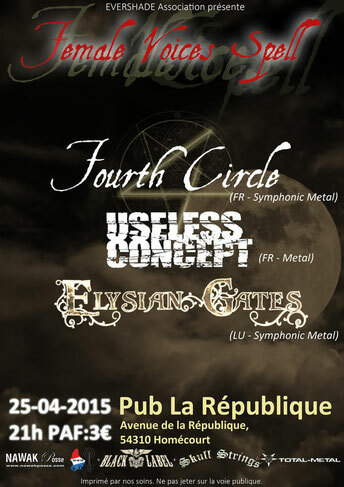 Our next show will follow after a short break. 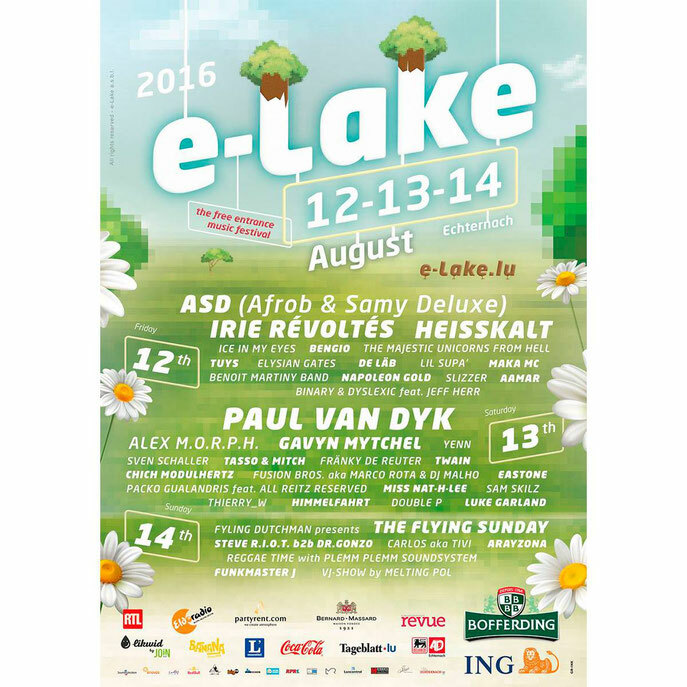 Let's all meet at the E-Lake Festival on the 12th of August in Echternach (L). 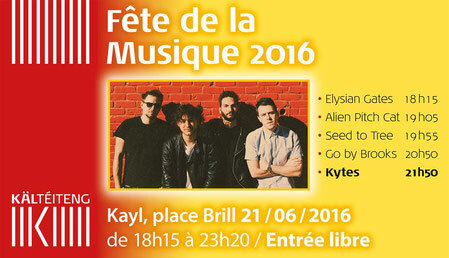 We'll be rocking the Fête de la Musique in Kayl (L) tomorrow, June 21st. 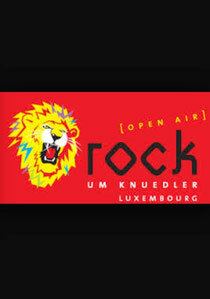 Join us at 18:15 @ Place du Brill for some open air fun! The Festival's season is here! 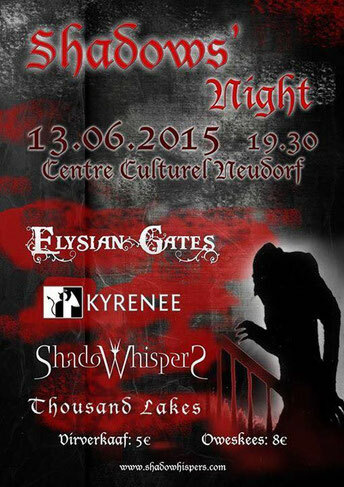 Be sure to join us on Saturday, the 18th of June! Dearest fans, family and friends! We needed a little bit of time to come down from this amazing evening. You are just incredible! Some of you traveled for hours by bus, train, car and plane to come to our release show. So happy and proud that we could give something back to you. 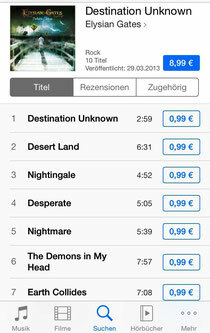 Our new album CROSSROADS has finally arrived, with a big BAAAM!!! THANK YOU !!! Let's start the countdown! 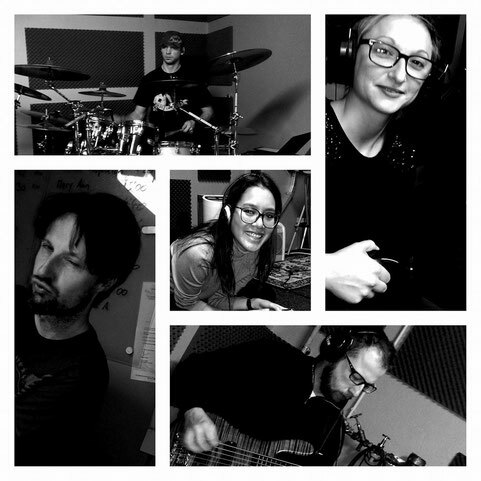 Our second studioalbum Crossroads will be available in a week's time!!! Come to our release Party on the 21st of May to celebrate!!! We're heading back to Eindhoven to give it all and hopefully reach the finals!!! We're happy to present the live video for our single Crossroads! 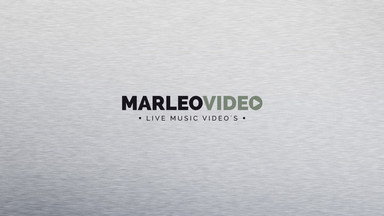 Video was shot at our show for the FemMe Metal Event battles at PopEi in Eindhoven by Marleo-Video. Many thanks to Mariette and Leo for their kindness and their great work! The video was edited by Sue! Horns up! We had a great time abroad! Met many great people, played cool sets and had true EG-family-fun together! Last week was one of a kind! Now the countdown can start! The wait for our second studio-album is nearly over!!! STAY TUNED and THANKS for being there! 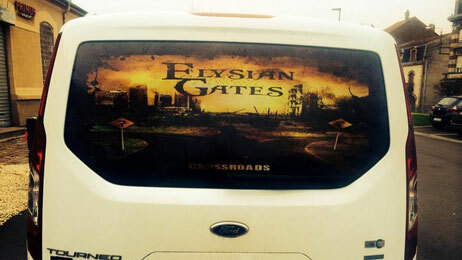 The tour-bus is ready and we are preparing for the road! We'll keep you updated with more news as we move along! Yay! Even though today, regarding the terrible events in Brussels, we don't have the heart to celebrate, we'd like to thank all our fans for their great response on our new single 'Crossroads'! 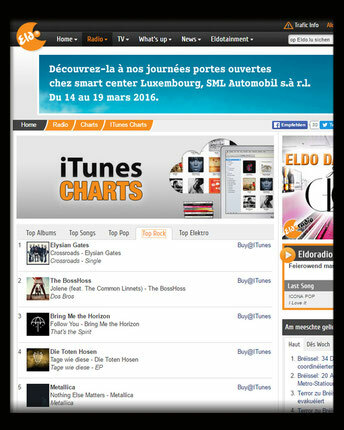 It climbed to number 1 in both, Rock and Metal iTunes charts! Dear all! 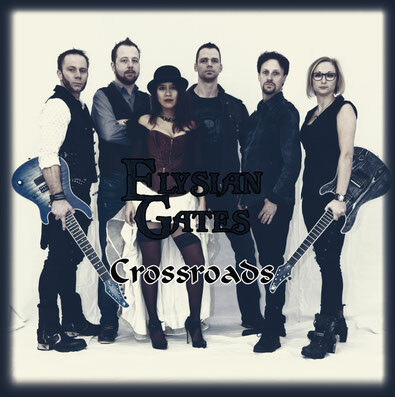 The wait is finally over: we are proud to present our brand new single "Crossroads" from the upcoming eponymous album!!! What a night! 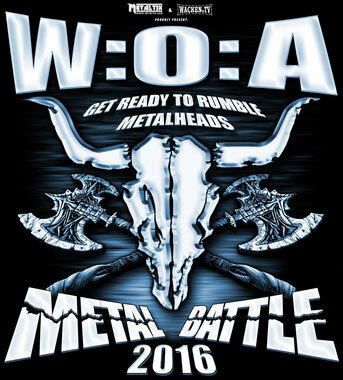 We had a great time at the Wacken Open Air Metal Battle 2016 Luxembourg! 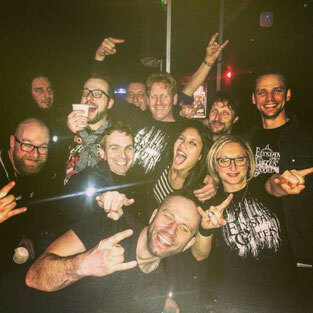 Big shoutout to the winner Miles to Perdition and big ups for ANOTHER FROM ABOVE, Feradur, Heaven's Scum, Soulhenge and Cosmogon for their awesome performances! Big Thanks go out to Jeannot Hutchinson and the organisation team, the jury, the staff at the Kulturfabrik Esch-sur-Alzette, the stage crew and everybody showing up to celebrate with us! YOU rock!!! 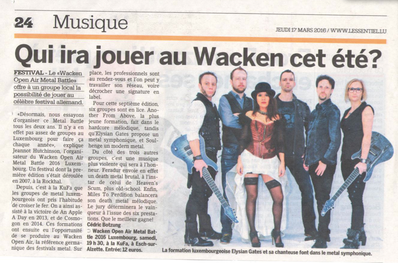 Nice article about the WOA Metal Battle in the newspaper today. Tomorrow, Sunday, March 13, you can listen to our brand-new single "Crossroads" from the upcoming album at Radio ARA where we'll give you an exclusive preview. Vocals and choir sessions completed! We had a special guest in the studio! 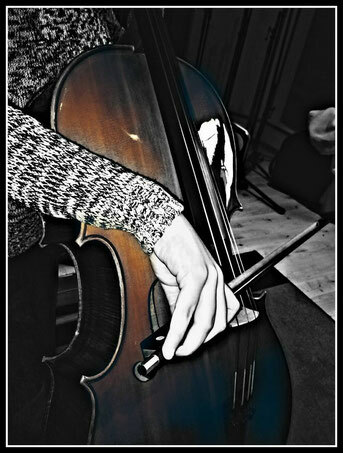 Cello recordings went down successfully, thanks a lot to our guest musician! Right now, Sue and Guy are on! 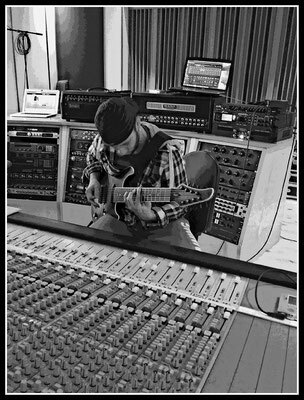 As you can see, we've entered the studio a few days ago. Work is progressing, Chris and Kim did a great job already! We're excited to keep you updated as fast as we move on in MOS Recording Studio in Bitburg, Germany! JOIN OUR BUDDYLIST on Facebook! We're working hard to prepare the studio sessions coming up in February! As you can see, we're pretty focused! Yeah!!! 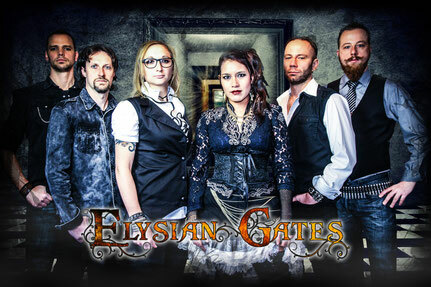 Elysian Gates are taking a creative break and are currently concentrating on working on their new album. 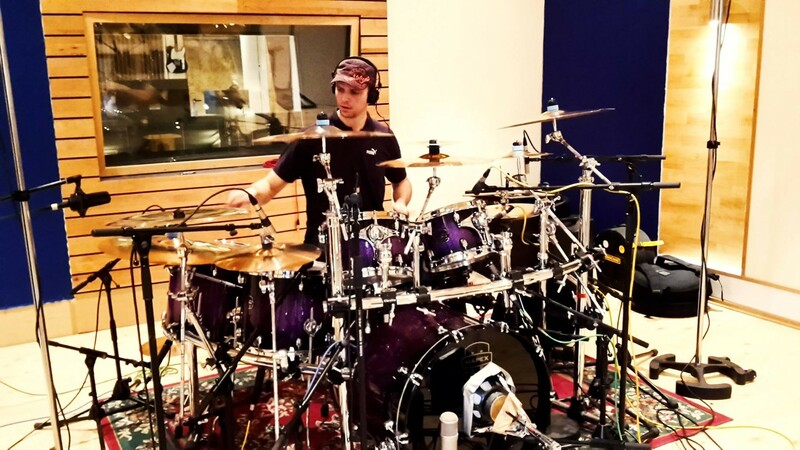 They'll hit the studio in February 2016! Stay tuned for updates and keep rocking! 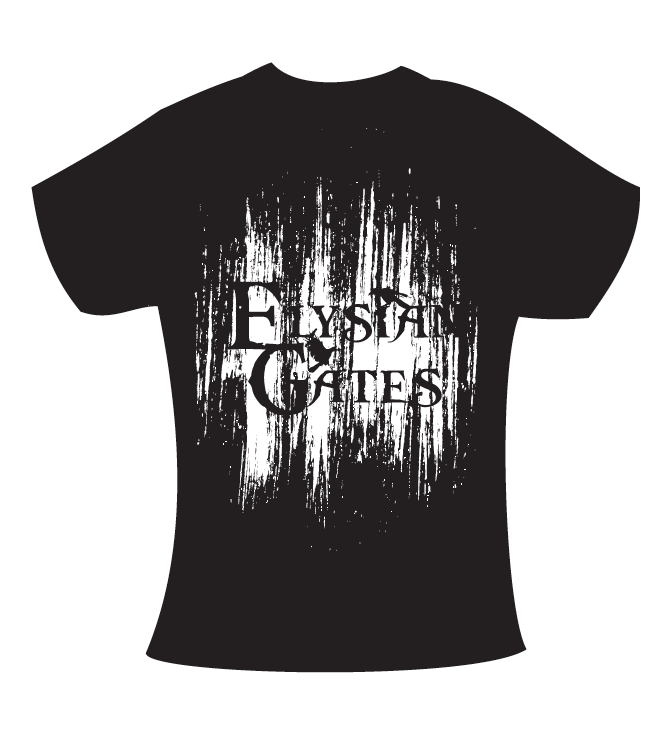 Feel free to order via FB or our website-contact management@elysiangates.com! New motives and logo by Christophe Gazon. Thank you for the great collaboration! Hi y'all! 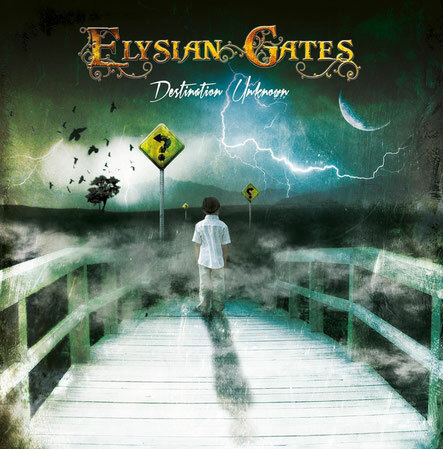 Responding to an increased demand, we've decided to re-upload our first album Destination Unknown. Enjoy, spread the word and thanks a lot for your great support! in this month's edition of LuxbyNight. 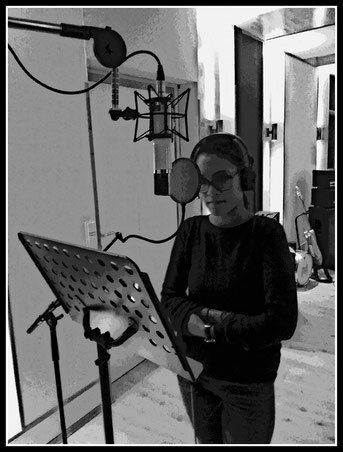 Since 2015, Noemie Leer (former Rude Revelation) is taking over the singer’s duties. We want to thank you for your support throughout this year. We had to reboot the band with a new singer, put lots of work in this, rereleased the album version and an edited version of ‘Seven Angels’. 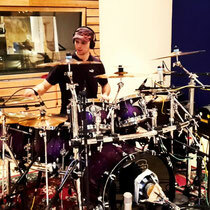 We recorded a new single, ‘Northern winds’ in cooperation with Sea Shepherd. Released a videoclip with that song. We had a bunch of gigs which almost consist the best part of doing our stuff. It’s where you and us come together to have a good time, and that’s probably what matters most. Thank you! Plans for 2015 are already made, but we’ll keep further info ‘til next year. Until then, we want to wish you a merry christmas and a happy new year! 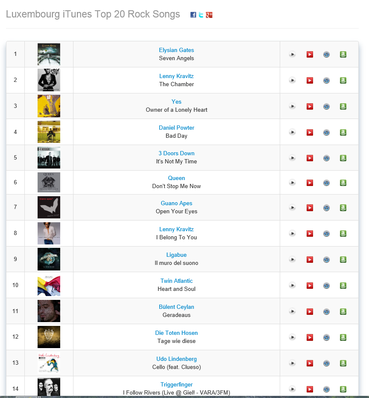 The new single “Northern winds” is now available since a few hours and it already climbed on 1! You can buy it via Itunes, Amazon and directly here above on CD Baby. You can view the videoclip on Youtube. Elysian Gates already wants to thank their fans for their amazing support. Sea Shepherd made this possible. Thank you! 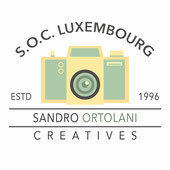 Big shout out to www.pulsapictures.com for the great video and 'De Schluck' for his amazing pictures. Furthermore a big thank you to little actress Julie who was very brave and still had a big smile on her face even after hours of shooting! Thanks to everybody who was involved and supports the project (too many to mention). 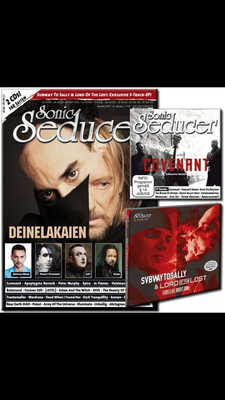 Now let´s make this project a good thing: buy the single, tell your friends, take a look at the activities of Sea Shepherd. The proceeds will be donated to Sea Shepherd. We would like to introduce you our manager, Robie Michaely. From this point Robie will take care of all booking purposes and operate full management. 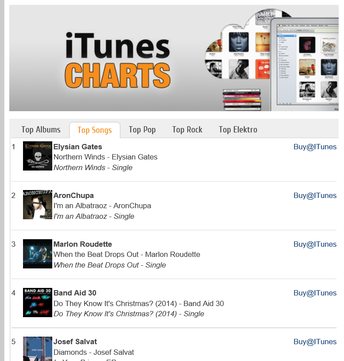 Even if it’s a snap-shot: we’re number 1 in Itunes rockcharts after one single day! Fans and friends were obviously waiting for this. Thx! 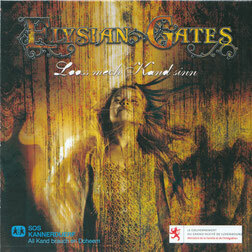 This week, Elysian Gates will release the single „Looss mech Kand sinn“ („Childhood’s end“) in cooperation with „S.O.S. Mierscher Kannerduerf“ (www.kannerduerf.lu) and the Luxemburgish Ministry of Family . 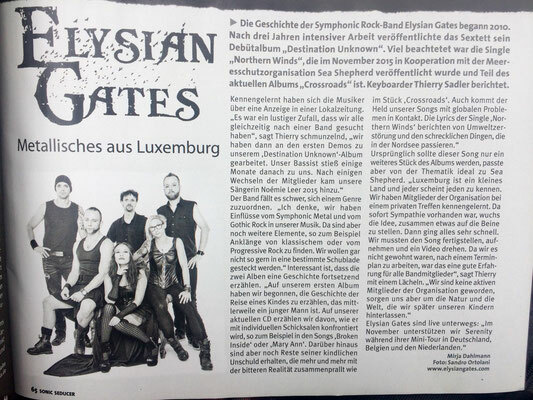 The benefits of this CD will go to the Mierscher Kannerduerf. Help us supporting the good cause to give lots of children the best childhood possible. Feel free to share this and get your Cd by contacting one of the band members or at the open day of the Mierscher Kannerduerf the 30th of June. Thank you! 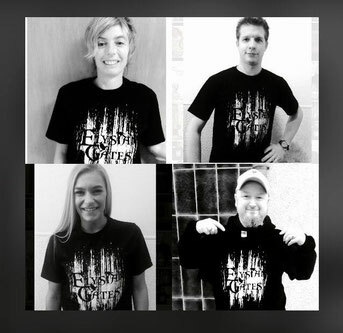 Get your copy of the album by downloading it on i-tunes, amazon or cd-baby! !